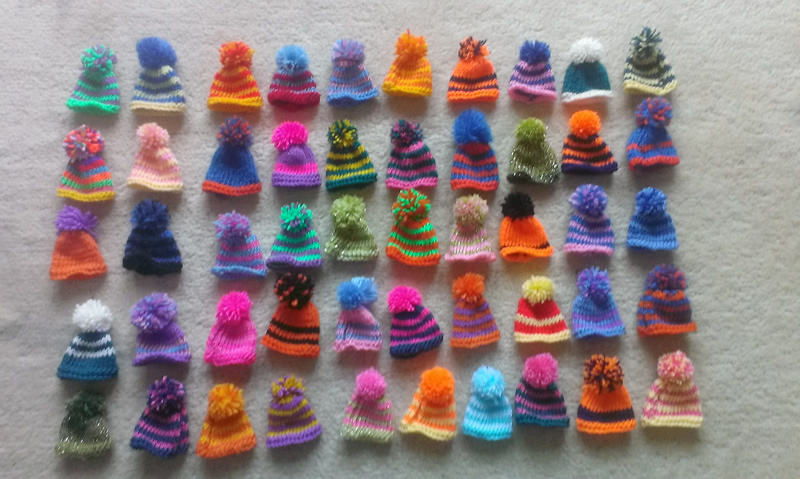 Just a little update for anyone who’s been following the seemingly endless stream of little knitted hats which pop up regularly on this blog, this year I managed to knit a grand total of 50 hats for the Innocent Big Knit. That’s ten fewer than last year, but every hat counts! These are also more colourful than the ones from 2012, which pleases me greatly. 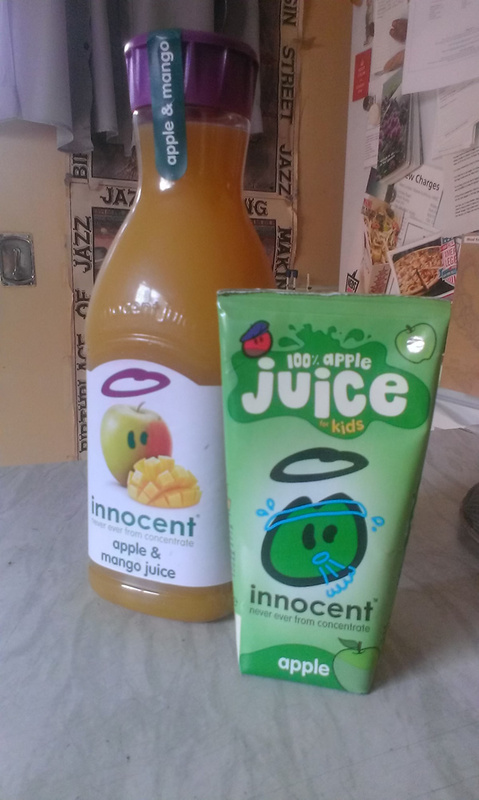 I dropped them off at Innocent HQ a few weeks ago (ok, I had to be driven there by my fella as I was really rather ill with the ‘flu), and the very nice receptionist dished out some freebies from their fridge as a little thank you. There were also two bottles of kiwi & lime smoothie, but Matt stole them away before I could take the photo! I’m assuming there will be another Big Knit in 2014, so I’ll have a little rest from hats until the start of the new year. In the meantime, if you see a bottle with a hat on it in your local supermarket then please buy one – 25p from the sale of every bottle with a hat on it will go to Age UK (click here for more details). Makes my hands cramp too, although it does depend what I’m knitting. I don’t seem to have a problem with the hats or hexipuffs, but I tried knitting a miniature sock last night and boy did my left hand cramp! I’m thinking it’s a technique thing, I have a vague recollection that my first few hats also caused the same problem, but a hundred hats later and it’s fine. ya coss you have developed knitting finger muscles! I remembered my friend and I bought one crotchet and one set of knitting needles to try to learn. I took the crotchet. All I could make were long strips of ‘fabric’ which i told people were scarves and belts. My friends tried knitting socks but we gave up after getting cramped fingers. I still have a box full of yarn!